Police are planning a checkpoint in El Monte Friday night. The sobriety and license checkpoint will be held from 7 p.m. Friday to 3 a.m. Saturday in the area of Santa Anita Avenue and Lower Azusa Road, El Monte police Sgt. Jimmie Pitts said in a written statement. Over the past three years alone, El Monte police have investigated 70 DUI-related collisions involving injuries, Pitts said. Police in Pasadena are planning to hold a sobriety and driver licence checkpoint, as well as keep an extra eye out for red light violations, on Friday, ahead of the Labor Day weekend, authorities said. The checkpoint will be held from 7 p.m. Friday to 3 a.m. Saturday and an undisclosed spot within the city, Pasadena police Lt. Diego Torres said in a written statement. Additionally, Pasadena police also plan special enforcement throughout the day, with an emphasis on red light violators, according to Torres. Funding for both operations is being provided by a grant from the National Highway Traffic Safety Administration, through the California Office of Traffic Safety. Overnight police checkpoints in Whittier and La Habra late Friday into early Saturday netted two DUI arrests, 2 warrant arrests and 18 citations, authorities said. In Whittier, police set up their checkpoint at Colima Road and Whittier Boulevard, Whittier police Lt. Bryan Ellis said. Officers screened more than 1,000 cars, he said. Two drivers were given field-sobriety tests, but not ultimately arrested for DUI. Police arrested one person for an outstanding warrant, issued three tickets for unlicensed drivers and wrote 10 “miscellaneous” traffic citations, according to the lieutenant. To the east in La Habra, officers screened more than 500 cars during their checkpoint at Lambert Road and Cypress Street, La Habra police officials said in a written statement. Three drivers were investigated for possible DUI, with two of them ultimately arrested, police said. Officers also made one warrant arrest and issued seven citations for driving without a license or driving on a suspended license. Police stored or impounded five vehicles during the checkpoint, and another four were released at the scene to authorized, licensed drivers. WHITTIER >> Police in Whittier will hold a sobriety and driver license checkpoint on Friday night, officials said. The checkpoint will take place from 7 p.m. Friday to 2:30 a.nm. Saturday at an undisclosed location within the city, Whittier police officials said in a written statement. 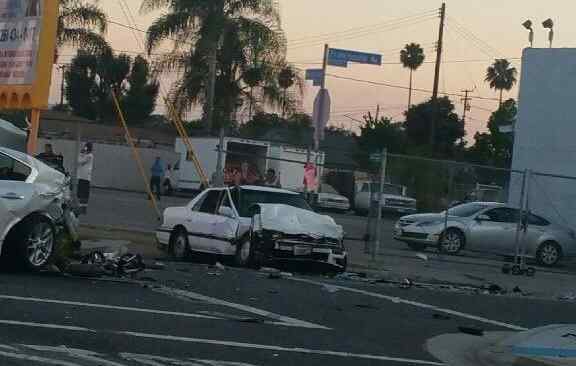 Whittier police have investigated 295 DUI-related crashes that left four people dead and another 158 people injured over the past three years, according to the statement. Police throughout the Whittier area and beyond are cracking down on impaired drivers during their summer time “Drive Sober or Get Pulled Over” campaign. The extra enforcement period began Friday and continued through Labor Day, Sept. 4. While the end of summer is dominated by picnics, barbecues and beach trips, “Sadly, the Labor Day weekend is also one of the deadliest, with alcohol- and drug-impaired drivers endangering themselves and others on America’s roadways,” La Habra police officials said in a written statement. Police in Whittier, as well as law enforcement agencies throughout the country, are also taking part in the campaign, officials said. Whittier officers plan to place an extra emphasis on motorcycle safety during the operation. “During this period, local law enforcement will show zero tolerance for alcohol- or drug-impaired riding,” Whittier police Sgt. David Elizarraras said in a written statement. La Habra police have announced upcoming sobriety checkpoints to be held on Friday night, as well as on Sept. 1. In Whittier, police have been conducting “DUI saturation patrols” to hunt for intoxicated motorists, with a special focus on areas with a history of DUI collisions or arrests, according to Elizarraras. Funding for the program is being provided by a grant from the National Highway Traffic Safety Administration, through the California Office of Traffic Safety. PASADENA >> Police are planning to hold a sobriety and driver license checkpoint next weekend. The checkpoint will be held from 7 p.m. on July 14 to 2:30 a.m. the following morning at an undisclosed location within the city, Pasadena police officials said in a written statement. Over the past three years, seven people have died and another 117 suffered injuries in DUI-related collision in Pasadena, police said. Police remind motorisits that in addition to alcohol, officers will be on the lookout for any drivers impaired by any substance, including prescription medications or marijuana. WHITTIER >> Police arrested one suspected drunken driver and issued 16 citations during a checkpoint in Whittier late Friday and early Saturday, police said. The checkpoint was held along Mulberry Drive, just east of Santa Fe Springs Road, at the southwest edge of the city, Whittier police officials said in a written statement. Officers arrested on driver on suspicion of DUI, police said. Sixteen more were “arrested and released on citations” for driving without licenses, or with suspended or revoked licenses. SAN GABRIEL >> Police will be screening drivers for sobriety and valid licenses during a checkpoint in San Gabriel on Friday night, officials said. The checkpoint will take place fro 7 p.m. Friday to 3 a.m. Saturday at an undisclosed location within the city, San Gabriel police officials said in a written statement. Over the past three years, 72 DUI-related collision have left one person dead and 25 others injured, police said.